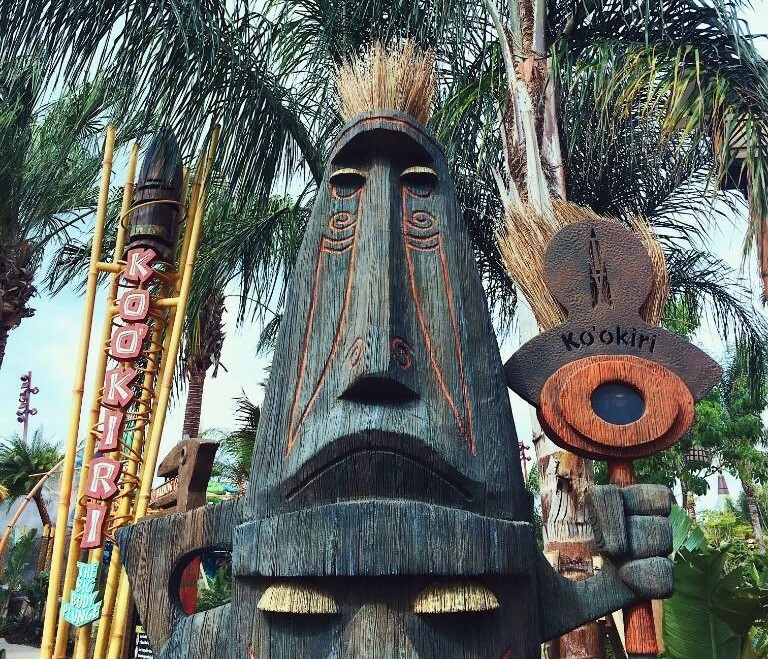 Join in the centuries-old tradition of honoring the volcano god, Vol, by braving the incredible Ko'okiri Body Plunge. Featuring a 70-degree fall through a drop door and 125 feet of white-knuckle fun, this dizzying descent ends with a watery tribute from Vol himself. 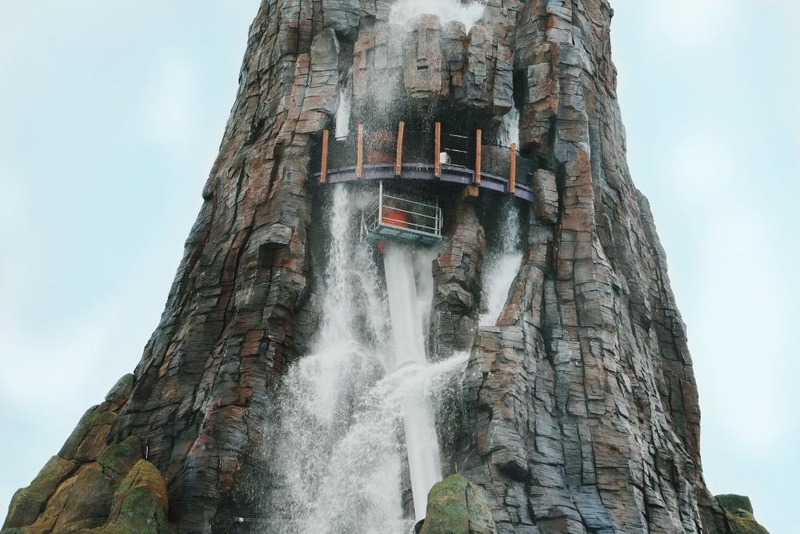 This is a near-vertical (70-degree drop) speed slide with a trap-door start that passes through the Krakatau volcano, falling 125 feet. 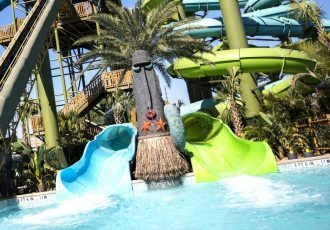 The slide will also pass through one of the pool attractions at the base of the volcano, described by the park as a "world's-first" feature. There are some specific rules for this attraction: In addition to a minimum height requirement of 48 inches, this attraction also has a maximum weight limit of 300 pounds. No t-shirts, lifejackets, or footwear can be worn. Also, there's no attire allowed with buckles or any sharp adornments that could damage the slide, including jewelry. This ride is intense, albeit a bit quick. The drop is nearly straight down, so only ride if you're brave.